The U.S. military may be called upon to serve in some of the most desolate areas on the planet — from the deserts of Iraq and Afghanistan to colder climates where the temperature plunges well below freezing. These temperature extremes can wreak havoc upon the equipment that military commanders need to operate efficiently and effectively. One malfunctioning computer could mean the difference between the success and failure of a critical mission. What Are the Effects of Cold Weather on Computer Equipment? Modern military operations often depend on laptop computers for planning and the management of troops, equipment and supplies in the field. However, an extremely cold environment can cause significant damage to a laptop. Many laptops now contain fluid dynamic bearings, but the fluid will thicken when the temperature dips below 10°F and damage the machine. The inner components of the screen and tube backlight are also susceptible to freezing. Overheating of military computer equipment is an issue in extremely hot environments. Heat transfer can lead to thermal expansion that can damage internal computer components and cause discs not to read properly. A more serious issue is the ultimate failure of the laptop’s hard drive, which can occur due to prolonged exposure to hot conditions. Other heat-related problems include a slowing down of the processor, damage to the motherboard and a reduced lifespan of the laptop’s battery. These problems can be minimized by utilizing one of our portable military ac units to house the equipment to keep it away from the heat. Klinge Corporation offers an Air Conditioning Unit designed to regulate room temperature in extreme ambient temperatures. The A/C Unit is mounted in the machine room to keep computer server equipment or radar equipment cool. Our air conditioning units and military refrigerated shelters are designed and constructed to withstand the hottest desert climates and provide a reliable flow of chilled air that will protect mission-critical computers and equipment. They also keep military staff members cool and comfortable during crucial strategic planning sessions. Our military air conditioning units are completely portable. You can move them from one outpost to another quickly and efficiently. They’re also easy to set up and install — you won’t waste valuable time and resources on getting the unit in place and ready to use. Their reliability and lack of preventive maintenance ensure trouble-free operation. 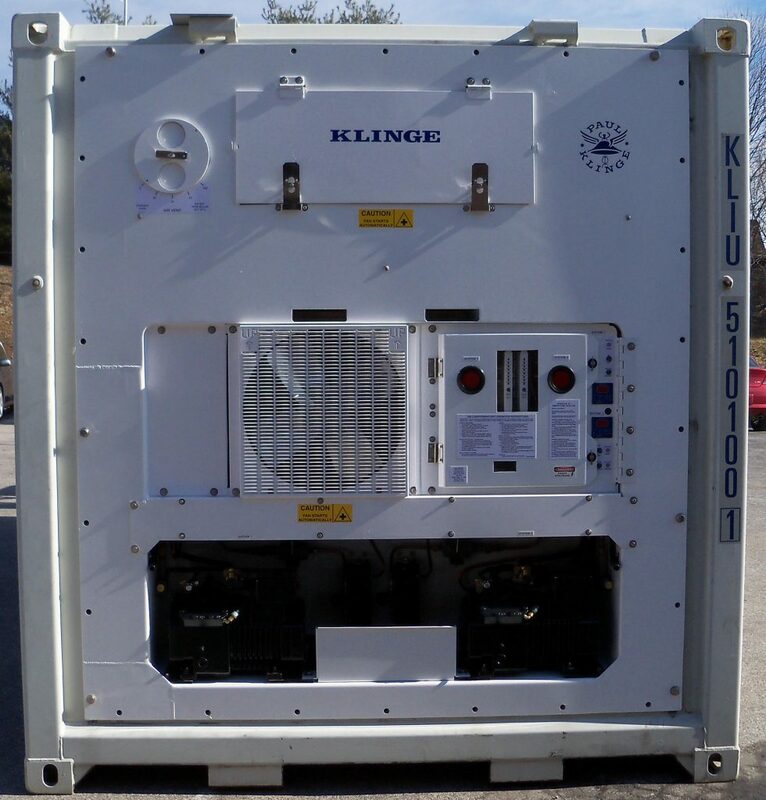 What’s more, a Klinge military air conditioned unit is easy to operate and meets the stringent military quality and performance standards. York, PA-based Klinge Corporation has been providing dependable, cost-effective refrigeration equipment to the military and other industries for more than 30 years. In addition to military refrigerated shelters and air conditioning units, we offer refrigerated shipping containers and triple containers. We can also design, develop and construct customized refrigeration products for unique applications. Contact us to learn more about our military air conditioning units and refrigerated shelters and get a no-obligation product quote today.